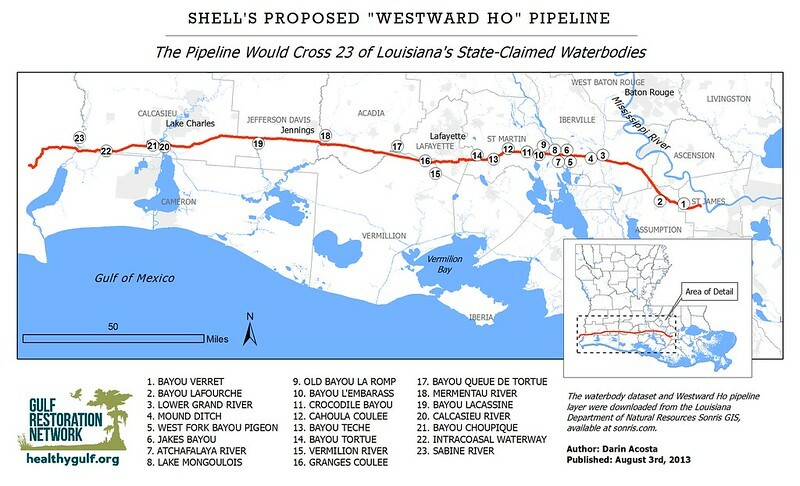 Shell Oil is proposing yet another 200 mile pipeline across more than 20 rivers in Louisiana, including the entire Atchafalaya Basin, blocking more than 80 bayous and coulees in the Basin, and directly impacting more than 700 acres of wetlands, including 200 acres of forest. 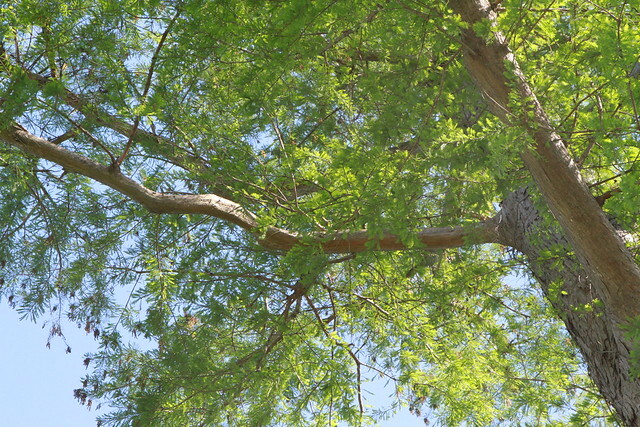 Tell the Army Corps to Save Our Cypress and restore our flowing waters from Shell's Westward Ho Pipeline. Much of this forest lies within the Atchafalaya Basin, a Global treasure that is Louisiana's to keep, if we can. This proposal would be merely the latest and greatest injury to our basin, a region where the Army Corps enforcement is so understaffed that they lack a simple boat to do inspections. Because of this lack of enforcement, the existing right of way is out of compliance, despite the fact that it contains many pipelines already--many of which were permitted after the right of way was wrongly built to block 80-plus bayous, sloughs, and coulees. 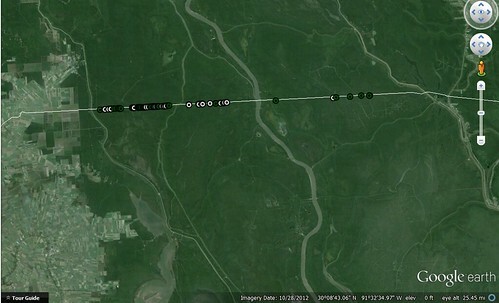 Locations where the current pipeline Right-of-Way blocks the flow of waters through the basin. "The original pipeline corridor was dredged by Southern Natural in 1958 and they are out of compliance with their permit. Shell obtained a permit in 1978 to place a new pipeline along the same corridor and Shell is also out of compliance with its permit. The Corps of Engineers should not give permits to place more pipelines on pipeline right-of-ways that are out-of-compliance with the permits, especially to the companies that are in violation of those permits. This is a good example of the incredible damage that the lack of enforcement of permits, on the part of the Corps, is causing to our wetlands." In addition, Shell has not proposed to mitigate for its direct damages to the Atchafalaya Basin within the Basin, as is required by regulations. The focus when addressing harms to the Atchafalaya Basin should be on preservation within the Basin. The remaining cypress-tupelo wetland in the Basin face threats from rising sea level, coastal erosion, and out-of-state landowners whose interests are contrary to the integrity of the Basin. It is imperative that actions are taken within the Basin to permanently protect it for future generations. Rather than paying into a mitigation bank, Shell should focus on persevering the unique and valuable areas in the Basin. Graphic by Darin Acosta, MURP, on the major state-claimed waterbodies that the pipeline would cross.